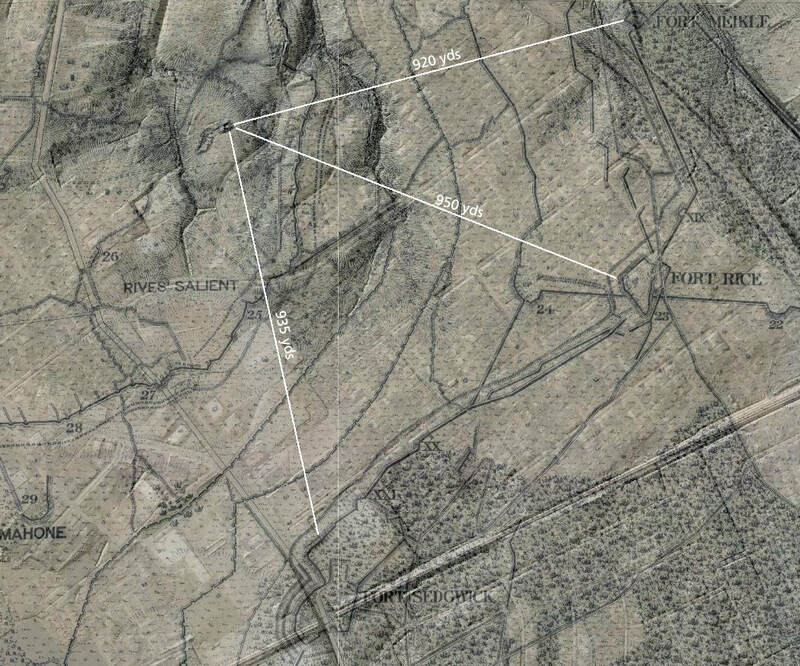 Location of Confederate 8" Columbiad inside Rives Salient, showing ranges to Forts Meikle, Rice, and Sedgwick. LC 11724. 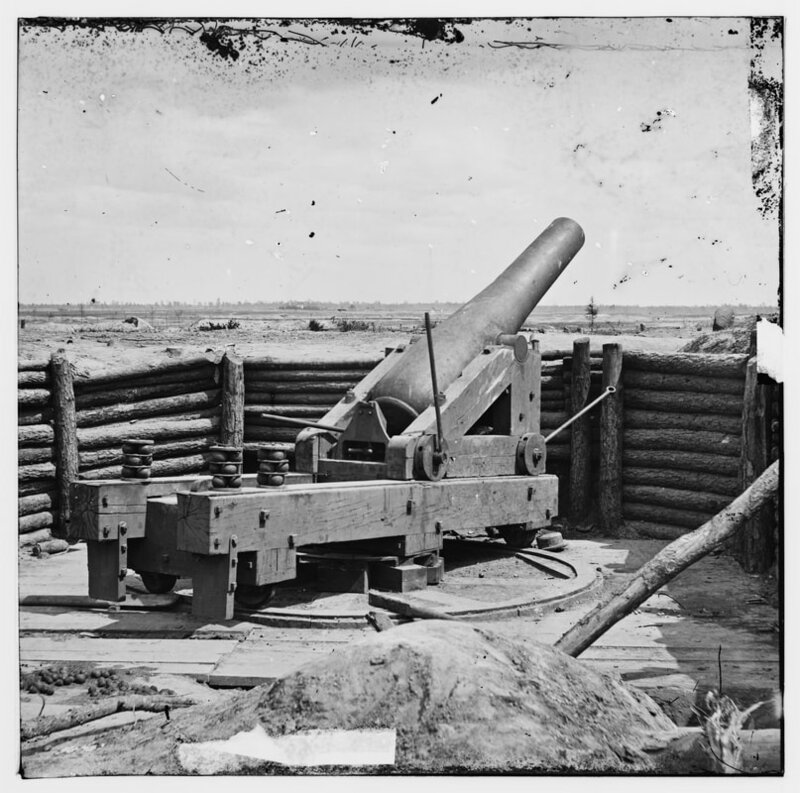 "Rebel gun in front of "Fort Hell," April 1865," photograph by Capt. Andrew Russell (attributed). Russell's assistant with the leather cap is posed with a lever used to shift the gun's position. LC 02580. "[Petersburg, Va. 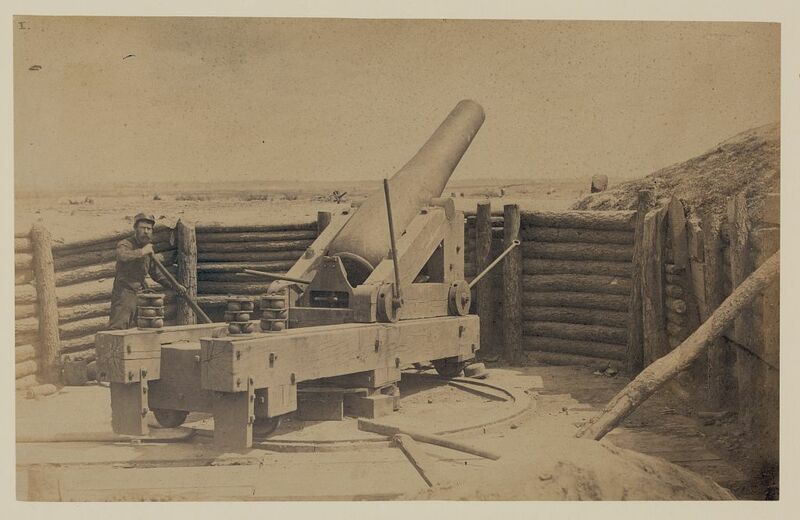 Heavy gun mounted on inner line of Confederate fortifications], photograph by Capt. Andrew Russell (unattributed). These photos were both taken near noontime, according to the shadows; the camera angle is slightly different. The 8-inch Columbiad Battery. The re-discoverers. Blow-up of Colonel Avery's house in the background of LC 02580. This was G.K. Warren's headquarters. Col. Avery was one of the richest men in Prince George County. 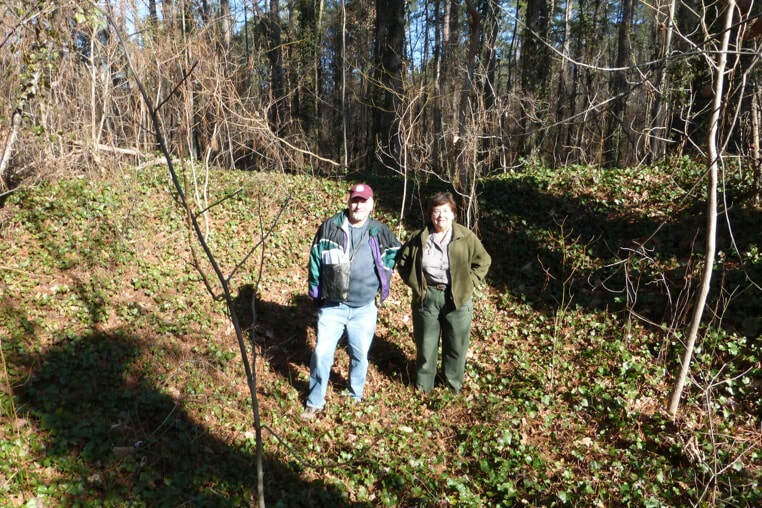 That may account for the fact that the Confederate guns in easy range did not destroy the house. The Avery House complex as depicted on the 8" = 1 mi. Michler map. Batteries 18, 19, and 20 were part of the original Confederate Dimmock line. The Petersburg-Norfolk railroad passes through the right of the image.